At the height of grunge, Sonic Youth awed me tremendously with a dismissive guest singles round-up for a now defunct UK music-monthly. “I’ve heard this riff a few times before…” sneered Thurston, or maybe Lee, and finally chose some now-forgotten band (60 Foot Dolls?) as the pick of the litter. Who are these walking riff-encyclopaedias? I wondered, at the time. Do they have riffs I’ve never heard before? Unsure where to start with The Youth, I did what thousands of other teens did, circa grunge, and grabbed their current record Experimental, JetSet, Trash and No Star as my first purchase… which wouldn’t make sense until I heard it seven years later under the influence of extraordinarily potent skunk. Without ever sneering, there have been far too many times when I’ve said, “I’ve heard this Sonic Youth riff a few times before” since, ooh… A Thousand Leaves (1998)? On first encounter, The Eternal prompts that response track-after-track; indeed there are a few occasions on which you might think you just heard the same song, immediately before. Meanwhile, you’ll find yourself asking: where’s this album’s ‘Diamond Sea’? – the long-form experiment; where’s the ‘Death Valley’69’? – the punk overdrive; where’s ‘My Friend Goo’, or ‘Little Trouble Girl’? – the whimsical subversions of gender roles you can sing along to, rather than stroking your beard and worrying that it might actually be fun to kiss Neil Young. 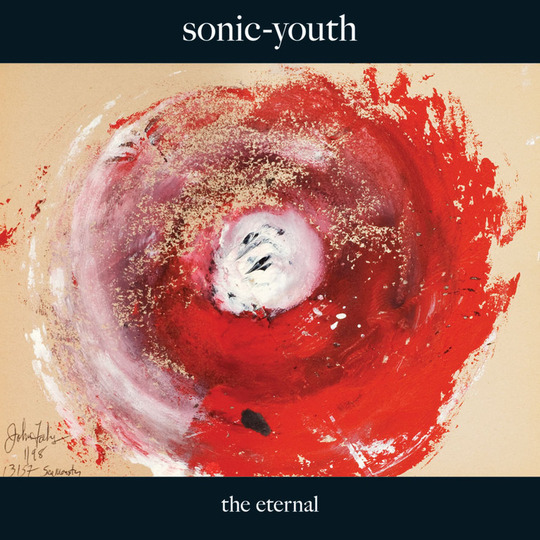 Yes, The Eternal is “Another Sonic Youth Record” but it’s also “Another Good Sonic Youth record”, revealing its finer details gradually, even if there’s no fundamentally new approach, arrangement, or message, in any of the songs. With Mark Ibold (of Pavement) on bass, the slight re-shuffle (Kim's on guitar; Jim's out) has kept things interesting for the band, and the five of them play with as much energy as they've ever had. From the outset, Sonic Youth are determined to BE the collective, eternal, transcendent idea of Sonic Youth, which means opening with an oblique manifesto that’s about sound and youth (duh), and could happily have appeared on Sister or Dirty. “I want you to levitate me! “Don’t you love me, yes…? “Turn up the treble, don’t forget! “Sacred trickster in a lo-tech sound! 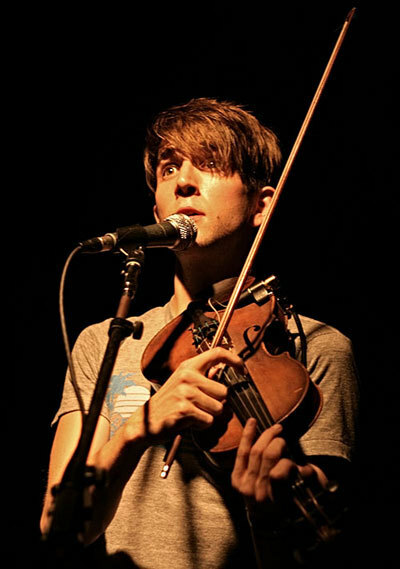 “I wish I could be… music, on a tree! “What’s it like to be a girl in a band? With its splitscreen stream of consciousness (Kim talking about the experience of musician for a fan, and for a girl in a band), and the dumb-but-original metaphors (wishing she could be the music), the lyric manages to be business-as-usual, and yet sounds fresh. You could say the same of many of the tracks here... then again, you could also apply the longstanding criticism of Sonic Youth: that Thurston's (ironic, masculine) cool, juxtaposed with Kim's (ironic, feminine) hysteria doesn't take us very far towards deconstructing gender roles. Even when the songs aren't repeating those same old points, there's a tendency to keep some emotional distance. No, there isn't a 'Tunic' here, either - i.e. the song for Karen Carpenter - and the reference to Gregory Corso ('Leaky Lifeboat'), after previous songs for Allen Ginsberg, and the many songs mythologizing the Beat Generation on Ghosts and Flowers, feels like an almost academic visit to the archives, whereas Beat Poetry (at its best) was supposed to be about 'kick-writing'. Still, this is a GOOD Sonic Youth album - essential for devotees, recommended for newcomers, blah-blah-blah. The stand-out track is the ten-minute closer, ‘Massage the History’, which is basically this album’s ‘Hits of Sunshine’. 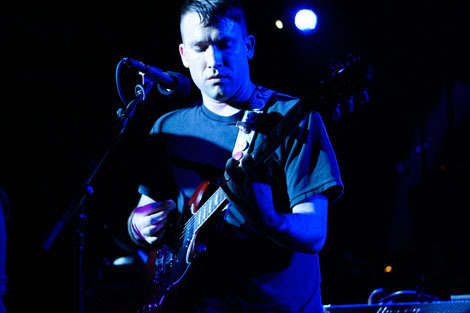 In place of the ebbing wah-wah guitar, an acoustic riff carries the song gently downstream, for much of the song, as delayed guitars keen and seagull distantly. Kim’s broken vocals hint at yearning, until distorted guitars periodically surge up to match a more ferocious frustration: “you’re…! so…! close…! to… me!” Powerful stuff, but its the rarity of such moments that may provide a clue why Sonic Youth are admirable, enjoyable even, year after year - ad infinitum - but don't feel that close to me.